Health system pharmacy teams are charged with accurate medication inventory and distribution management, prioritizing patient care and safety, and also controlling costs. Balancing these demands is made more challenging when it comes to high value medications, which often have strict security and storage requirements. To reduce medication waste and control costs, effective inventory optimization strategies can be employed by pharmacy teams using innovative RFID healthcare technology. Radio Frequency Identification (RFID) healthcare technology enables item-level visibility to all medications throughout a facility. The Intelliguard® Controlled Temperature Cabinets combine pharmacy-grade temperature controlled (cold or ambient) cabinets with RFID technology to provide ideal storage conditions, real-time item-level tracking, and detailed usage data for optimization of high value inventory. Many pharmacy refrigerators monitor cabinet temperature, but lack the inventory tracking capabilities to identify the items impacted at the time of a temperature excursion. The Intelliguard® RFID cabinets use advanced RFID technology to identify not only when a cabinet was out of range, but what was in the cabinet – down to the individual item – when the excursion happened. This real-time item-level visibility gives pharmacists the confidence to know exactly what items were impacted by the temperature excursion and should be discarded, reducing unnecessary waste. Ensuring that drugs don’t expire unused is an important step in inventory management that can help to reduce medication waste and control costs. Unfortunately, the process of tracking expiration dates for individual medications across various locations is often manual, difficult and time-consuming. 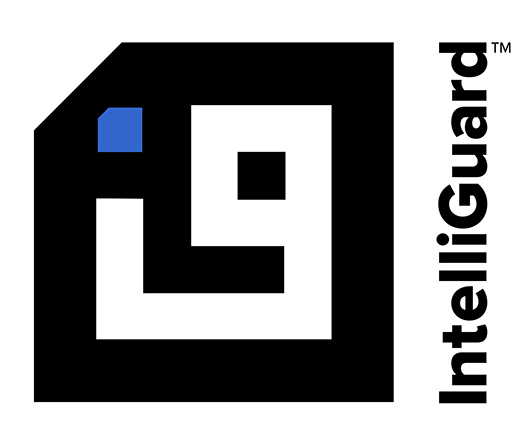 With the Intelliguard® RFID System the pharmacy team is not required to track expiration dates manually. Customized limits can be set to trigger alerts and notifications for soon-to-expire items. Reports show where each item resides throughout the facility, and real-time inventory and par levels for each cabinet at each location; therefore items can be shifted and moved to maximize usage based on need and prior to expiry. Intelliguard® RFID Controlled Temperature Cabinets offer secure badge-controlled access. In addition, granular usage tracking and visibility make continued diversion nearly impossible. Every time the cabinet door is closed, the system automatically records who accessed the cabinet, the exact item/s removed, length of time and whether or not any items were returned. The pharmacy can use these reports to identify and thwart diversion. The Intelliguard® Controlled Temperature Cabinets are a valuable solution for pharmacies that need to secure high value medication, optimize inventory and reduce waste. Staff simply maintains their current workflow – open the door, remove what’s needed, close the door. Inventory data is automatically updated every time the cabinet door is closed.